Persuasion is not what it seems. The vast majority do it wrong. What if you learned the art of persuasion? The Persuasive Progressive Twitter account gives you proven things to try, and things to stop doing. It’s not easy. You have to work at it. It doesn’t come naturally. But we do have to do this ourselves, person to person (the media isn’t going to help). 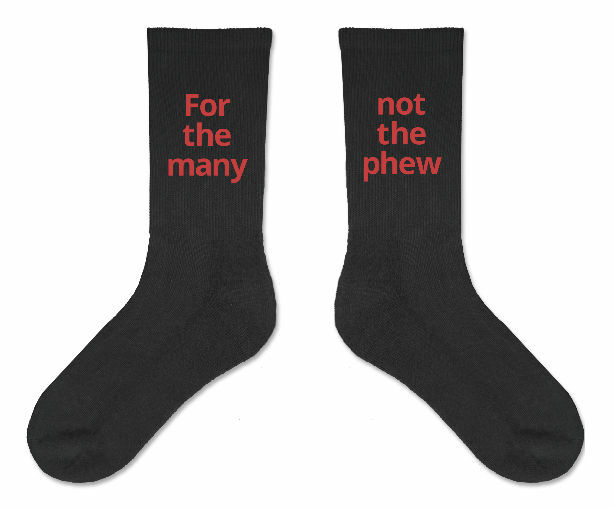 If you think that’s worth supporting and you need some new socks, buy these (click the image). In the following mind map, which you can download for free, I’ve summarised the tools and techniques that have so far been gathered. It’s not a complete guide, but it does help to make sense of things so, if you like, download it.